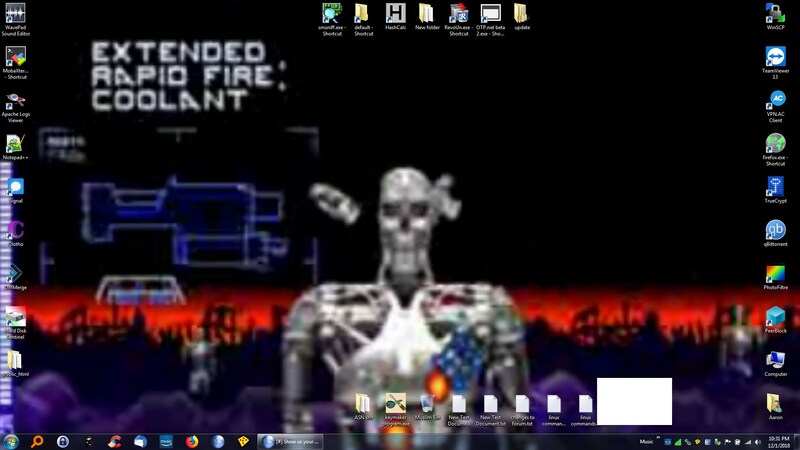 I went for a minimalistic Win95 look. The background color fits well and makes everything easy to read while still being "substantial". 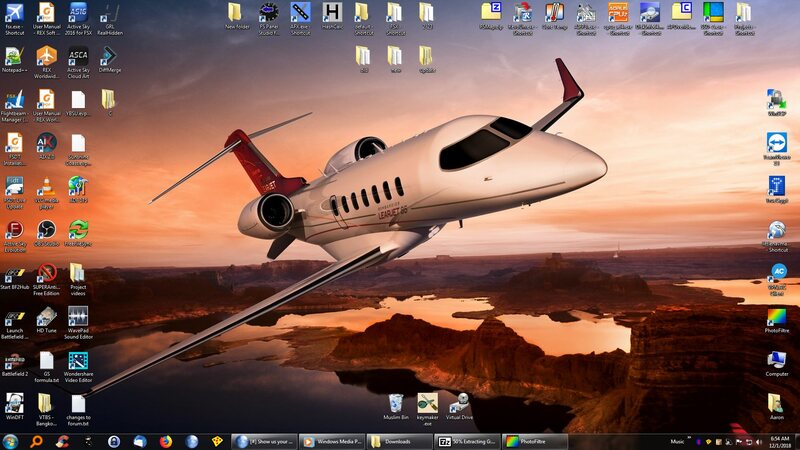 My desktop is largely sorted alphabetically and my taskbar is messy. A themepack is in the zip.